What makes the world go round? Peace, love and Egality thats what! You are as good as me….Hello! Features the Kashyapa Mudra. This yoga mudra symbolises the union of masculine and feminine. It creates a seal against negativity and helps in creating balance and grounding. Namaste egalitarians! 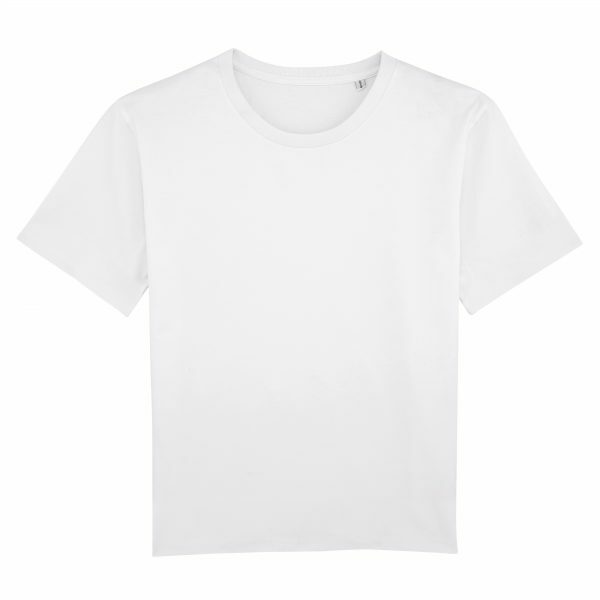 Women’s white boxy relaxed fit T-shirt. Hand embroidered by me. Made to order. 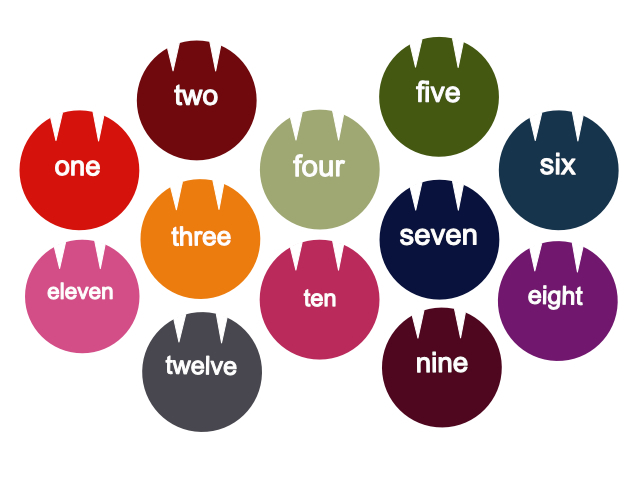 Choose your thread colour (“Colour” in drop down menu relates to thread colour. 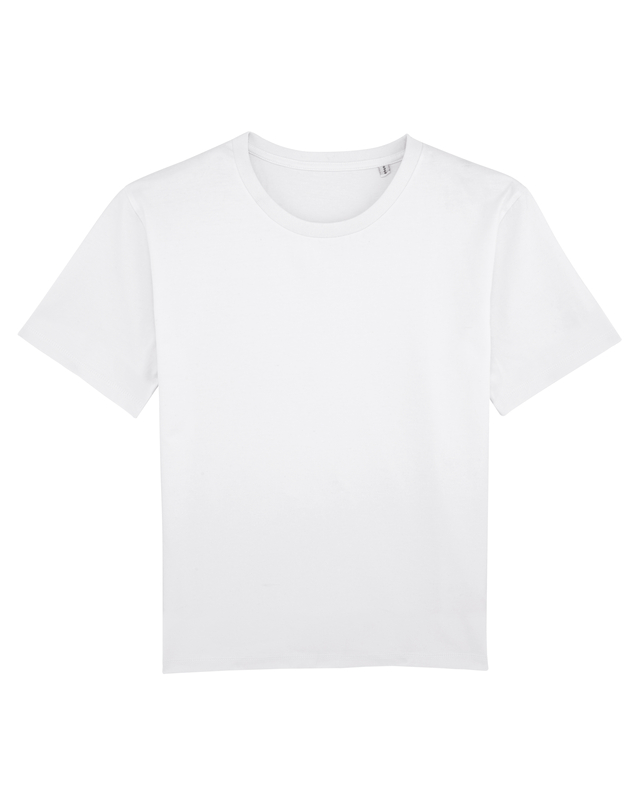 T-shirt colour is white). 100% Organic Ring-Spun combed cotton T-shirt. 200gsm. Relaxed fit. Items are custom made by me and ship as quickly as I can humanly sew! All items are sent in biodegradable packaging and where possible I have used recycled materials. T-shirts are 100% organic and ethically produced. International orders welcome. Buyers are responsible for any import/customs taxes that may apply. Vamped tees is not responsible for any delays due to customs. I graduated from Grays School of Art, Aberdeen with a BA in design and craft a whole 22 years ago! 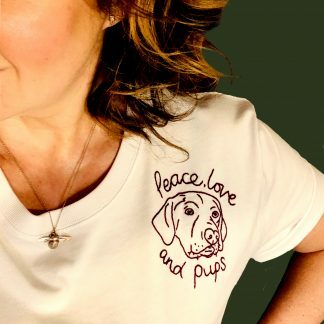 At the grand old age of 44 I started Vamped Tees with the aim of making a high quality, really cool range of organic ethical tees and sweatshirts. I hope you like them, I think they are pretty neat! Ethics and Enviromental consciousness is very important to me, which is why all tees and sweatshirts are organi and ethically manufactured. The army jackets are upstyled vintage genuine Dutch army shirt jackets. All packaging is biodegradable and where possible I have used recycled materials. Ready to ship 1-2 weeks from the United Kingdom Shipped via Royal Mail 1st class post. International orders welcome. Buyers are responsible for any import/customs taxes that may apply. Vamped tees is not responsible for any delays due to customs.